Webkinz will have a Trophy Challenge for Wacky’s Bullseye Batter and the challenge will start tomorrow and end on Sunday, October 14th. You earn 1 Kinzcash for every 400 points you score in the game. Will you try to complete this Trophy Challenge? What are your favorite Wacky objects and games in Webkinz or do you not like Wacky and Wacky themed objects or games? Are there any Webkinz hosts that you think are easier to beat at Dogbeard’s Bathtub Battles and do you like playing the hosts or other players for challenges that require you to win and play games in the Tournament Arena? and my hairdresser suggested i make mini pies…….anyone have an idea what kind of pan that is? dh always wants about four pies……..
Dee, is it a company, or do you have a cat? I think it’s mostly because the shed is right next to the compost heap. They must eat like kings with all the produce scraps I toss out. Our backyard is crawling with critters. We have feral cats, but I (foolishly) chase them out of the yard because they walk through my seedlings and eat my songbirds and chipmunks. We have raccoons and possum, probably for the compost. I need to start turning the food waste under when I toss it, but in the heat of summer, I don’t want to go mucking in the heap with whatever might be in there with me! O.o For now, I blocked the hole (I think), dosed with peppermint and eucalyptus essential oils, and we’ll get the food source (grass seed) cleaned up this weekend. Add in some traps, and RatsBGone! and sounds like your compost is making a zoo of its own…….have you looked at the contained ones? basically a barrel (them big giant plastic ones) and they make the “stuff” heat up quicker! i know there are a bunch of you tubey videos on them and some you can even spin or rotate to get your mix of poo or funk or whatever you want to call it……..
Gonna pass on this trophy challenge. Not too fond of the game. Dee – there are several vegan holiday roasts, i think gardein and field roast make some. Never tried any myself because i’m good with loading up on the side dishes and pie, but I’ve heard they’re pretty good. tbh as long as i get mashed potatoes and cherry pie, i don’t care about anything else for thanksgiving dinner. Not having a good week. At all. It’s almost the weekend and that’s supposed to be a good thing, but it just brings extra stress because I need to start a paper, but I don’t even have a topic for it anymore because the professor said the topic I originally picked wasn’t gonna work. Also have 2 online quizzes, discussion posts to respond to, an assignment, and a quiz on monday to study for. them icky critters like the nasty stuff………carrion type feeders……..
I’m trying to convince my mom that we need a cat… not going well. She has decided that the only cat she wants from now on is a barn cat when they move to the farm. I’ve been showing her lots of kitties online that are up for adoption. Found a really pretty siamese with extra toes, looks like she has mitten feet. Low adoption fee, up to date on vaccinations, already spayed, very friendly… my mom thinks she’s cute, but not budging. dee – you are my hero!!! puma – ewwwwww!!!! you need an owl & some hawks! we have moles tunneling in our yard & trappers working on those for us – ew ew ew – nasty rodents ew! i guess hawks do not take care of moles – ew – i need to borrow skitty kitty from dee!!! same here – tons of rain & wind, short power outage, all is well – we are blessed! choco – i am sorry about your stress – just knock out the school work one at a time – set goals & stick to them – this is preparation, & you can do it! Dee, I do have a tumblr-style composter. The previous owners of the house built this HUGE compost heap that’s got a trapdoor that you can use to shovel finished compost out from the bottom, so it rotates itself as you add more. I should use my tumblr one, though- Kiddo loves to spin it! Maybe I can use the built in composter for leaves and weeds- no yummies there! Happy those that live down south are safe !!!! Worried about Nita… I think she may live close to worst hit area… Hope she is OK too ! Nita.. if you are around let us know ! So Happy it is finally Friday !! gramma.. Good Morning ! Awake and having my 3d mug of coffee !! moms… thanks for your concern… Each day there seems to be a new hoop to jump through ! Pales in comparison to what is happening to others…. 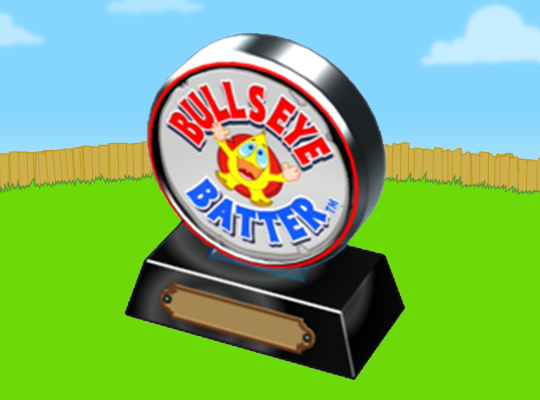 New challenge for BullsEye Batter… may take a long time.. getting only a couple of kc with each game… Not a big fan of Bathtub Battles either ! gaga, happy to ‘see’ you! ♥ heading for my second cup now. we’ve had rain most of the night, least it seemed like it. wishing all a wonderful day!! guess i am good at hitting things with a stick! dee and moms…you have her pegged purfectly! Hey, guys! How’s it going? Deluxe Appreciation day is next week on the 16th. I had to put it in my calendar so I wouldn’t forget. Does anyone know the specific Webkinz name for Sally’s poster (not signed)? I created a Webkinz Newz room on my account and have to hunt it down. I thought I had one but I guess I lost it in my mess of a house. rented the latest avengers from the video store……they sent out free movie coupons, so……..
dh is splitting firewood and i was a good wife and stacked while he split….i quit after about half a rick…….just not a fun job and i was wearing flip flops and i swear he was trying to hit me in the head with logs! Hecks YEAH that will solve the sticking problem! Ham makes everything better. And is that a soft-yolked baked egg there? YUM! i make a tortilla thingy………you cut the small tortillas in quarters and stack two quarters in there to cover the tin………..
my tortilla thingy is meat and rice and salsa and cream cheese and cheese…….. BUT could totally be adapted to breakfast! Combine cooked rice and meat to the remaining ingredients. Cut 8” flour tortillas into quarters. Microwave tortillas for 20 seconds and place in muffin tins. Fill tortillas with rice mixture and bake 375 for 10 -15 min. oh yeah and they freeze! not as crusty rewarmed in the nuker……….never tried to rewarm in oven. too impatient…………..